When you’re looking for wedding transportation, understandably only the very best will do. Your wedding is one of the most important days of your life, so you need a car that’s equally as special and memorable. That’s where our wedding car hire Warwick service proves invaluable. 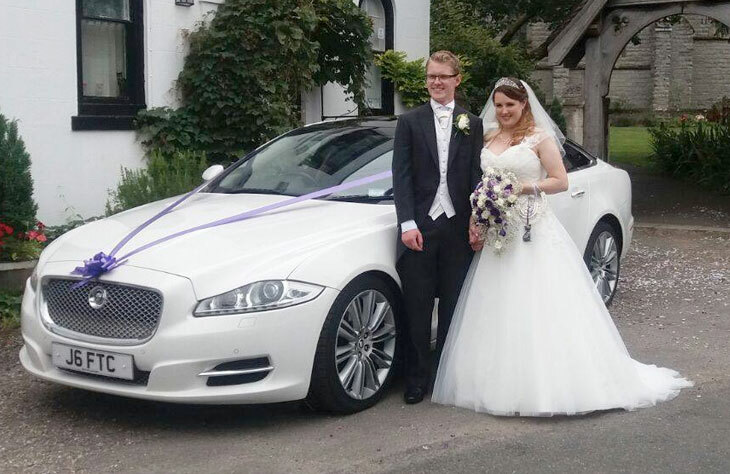 At Limo Hire Warwick, we provide some of the most luxurious wedding cars to suit your big day. Whether you’re looking to host a lavish, extravagant wedding, or you’re in need of something a little more modest, we have something to suit you. If you’re hosting a traditional, romantic style wedding, what better way to complement the day than with classic wedding car hire? We have an outstanding range of classic cars, each boasting a luxury, comfortable and spacious interior. 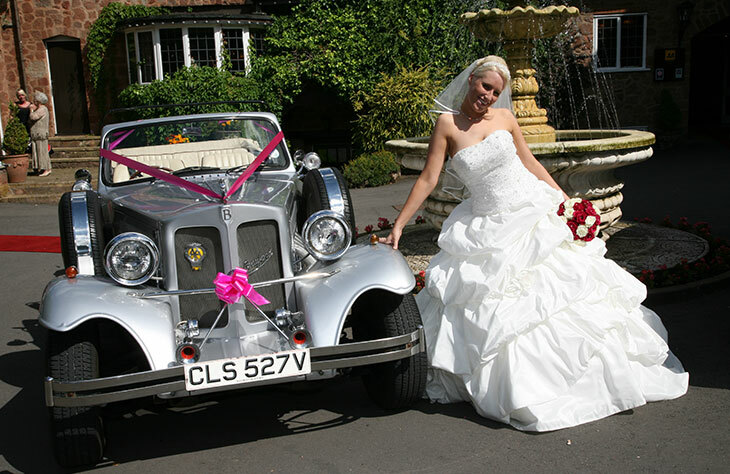 The Beauford Tourer is one of our most popular classic wedding cars. Available in white or silver, it features an incredible vintage design. In the summer months, the roof can be folded down for a truly romantic feel. It’s large enough to seat up to 4 passengers and can accommodate even the largest of fairy-tale style dresses. Or, why not book the exclusive Daimler limousine? A Royal family favourite, this limousine is also available in white or silver and is especially popular for the bridal party. Prefer something a little more modern? 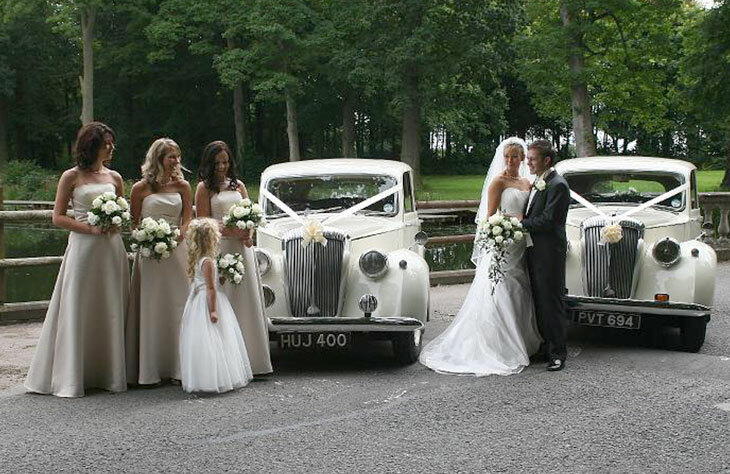 Limo Hire Warwick has a huge choice of modern wedding cars on offer. If you really want to impress and go all out on your big day, the Rolls Royce Phantom is an especially great choice. This imposing, dramatic car oozes elegance and luxury. It’s more affordable than you might think too thanks to our low, affordable prices. Or, if the Phantom is a little too lavish, why not book the Bentley Flying Spur? With its soft, sleek looks this modern car is perfect for weddings. With so many modern wedding cars to choose from, we highly recommend you come and view our fleet before deciding which one is right for your special day. Why not consider something a little more unique? As well as the more traditional and popular modern wedding cars on offer, we also have a selection of more unique wedding vehicles. If you’re looking to really make your big day one to remember, why not consider Hummer hire? We have three great Hummer models available and they come with some pretty impressive features. The bride could book our exclusive Californian made Pink Hummer, while the Groom could make an entrance in the impressive H2 Double Axle Hummer. Or, if you really want something different, why not consider hiring the famous party bus? Perfect for taking you from the venue to the reception, this party bus is sure to give you an experience you’ll never forget. As you can see, at Limo Hire Warwick, we offer a huge choice of wedding cars to suit all occasions. We pride ourselves on offering exceptional value and the very best customer service. Call us now to book your chosen vehicles, or to arrange a viewing to help you decide which car is best for your big day. Although there exists unquestionably something that need be said for the most innovative kinds of deluxe limos, lots of individuals absolutely adore the enchantment have a tendency to accompanies a vintage wedding car. Generally there are extensive models of wedding cars in Warwick you could use today and you will be surprised at how reasonably priced these kinds of antique cars may be to hire pertaining to your own wedding. Rolls royce phantom and Bentley models can certainly elevate to every special occasion. Commonly, they've splendor as well as sense of pride. Modern day cars will definitely be every bit as outfitted with all the benefits in order to provide you with supplemental options. Chrysler and Mercedes tend to be some of the favorites. It's utter destiny to be within the company of any of these models. Often the sooner you make your reservation with Limo Hire Warwick the more likely you are to get a excellent deal. Rolls Royce Phantom Limo Elegance is truly the main one phrase which explains this particular stunning classic car. This is an absolutely magnificent wedding and reception car for any Warwick occasion, but is generally a vehicle of choice with regard to wedding. In the event you retain the services of more than one wedding cars, you will often notice a significant lowering of booking costs. Limo Hire Warwick will most likely offer wedding car bundles which include as many cars as you might need. These bundles are usually a fantastic strategy to save some money and still obtain a remarkable ride to and from your wedding ceremony and reception. The white stretch Lincoln Town Car limousine was the limo of preference for weddings which is even now used for the majority of weddings. Nevertheless with the creation of the Chrysler Baby Bentley limo this really is right now switching, we could provide each choices along with ribbons adhering to the actual wedding's colour theme. © 2019 Limo Hire Warwick. Local Web Designer Birmingham All rights reserved.